Though much of it was somewhat predictable, Garmin is bringing lots of good news to the Fort Lauderdale International Boat Show (FLIBS) tomorrow. 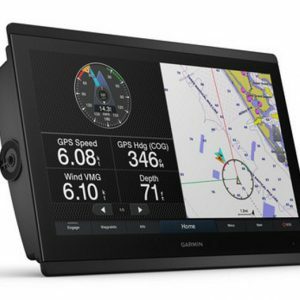 The powerful operating system behind their premium GPSMap 8600 Series 17-, 22-, and 24-inch MFDs is coming to more affordable 10-, 12-, and 16-inch displays; new BlueChart g3 cartography with Navionics data integration and Auto Guidance will be preloaded in the new plotters; the inReach Mini satellite messenger will get a marine power kit and integration with many Garmin MFDs; and there will be more remote control and camera options to help create a particular boat’s optimal overall system. But be forewarned that I only had pre-release product announcements and photos to work with as I tried to lay out the details below. 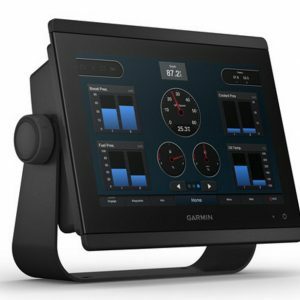 However, Ben Stein is headed to FLIBS today to check out this (and other) new gear, readers may pick up on more details from Garmin’s newly live online product pages — I’m also on the road today — and all of these new electronics are supposed to ship in early 2019 if not sooner. 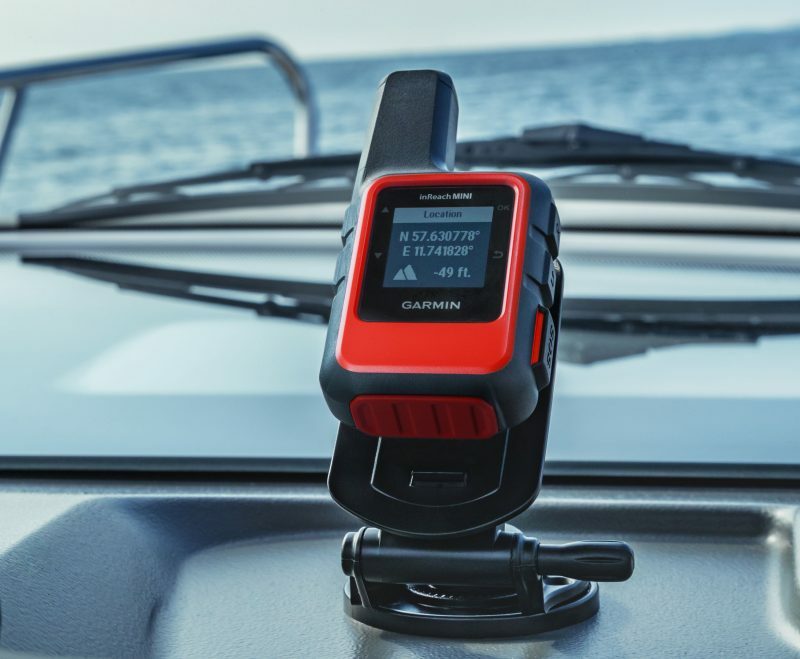 Garmin’s GPSmap 8600 Series — which used to start at $7,500 — has been the flagship core of their bigger boat glass bridge networks, able to integrate all sorts of boat systems into clean yet potent helm stations. And while I don’t know if any smaller production boat will appear soon with the super minimalist 8616-centric cockpit seen above, it is getting possible and it will certainly happen eventually. For instance, these new 10-, 12- and 16-inch MFDs support the OneHelm integration we first saw in Miami, and the OneHelm list now includes Maretron and other interesting new players. 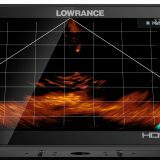 So while the photos above do not show all the many functions these new displays are capable of, do note the multiple forms of sonar that can be processed inside the xsv models that will be available in every new screen size. And while the photos are unfortunately low resolution, the new 8600 screens are all HD 1920 x 1200 pixel IPS (in-plane switching), which should look great from any angle. And Garmin did supply high res backside images that suggest enormous connectivity and a mystery. 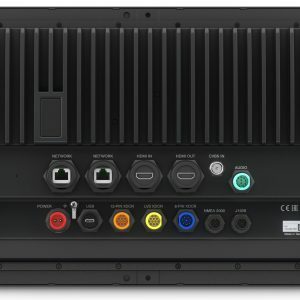 Even the smallest 8610 includes dual network ports that will mean a separate Ethernet switch isn’t needed on many boats. It also has HDMI input and USB ports that will hopefully allow the bright multitouch screen to work with PCs. 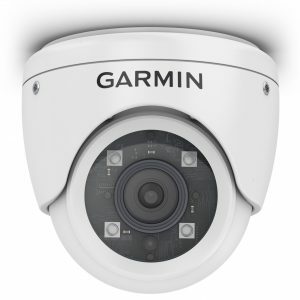 Meanwhile, the CVBS video port is in addition to network IP and WiFi camera support and may mean that an attached analog cam is networked out of the MFD. Note too the diesel-friendly J1939 port alongside NMEA 2000. Meanwhile, the three sonar ports on the xsv models support “dual-channel 1kW traditional CHIRP, CHIRP ClearVü and CHIRP SideVü scanning sonars, plus Ultra High-Definition scanning sonar” and also “the full Garmin Panoptix all-seeing sonar product line, including Panoptix LiveScope.” And all the new 8600 models include WiFi, BlueTooth, and ANT+ wireless. But here’s the mystery: given that Garmin already supports control of Fusion and other stereos over N2K, what the heck is that 11-pin Audio port about? 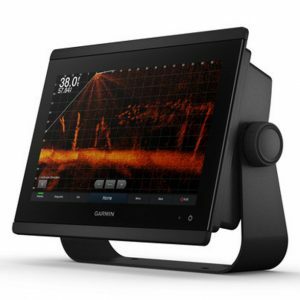 The 10-inch 8610 lists at $2,500 without built-in sonar, add $200 for the xsv sonar model. The 12-inch 8612 is $3,500 and the 16-inch 8616 is $5,500, add $500 for the xsv models. It’s hard to tell from the limited screens available so far, but the new BlueChart g3 cartography does look like a nice blend of Garmin’s highly readable chart display style with Navionics data and possibly other benefits. And it’s nice that Auto Guidance is included in the preloaded g3’s, though I understand that it is not (yet?) based on Navionics Dock-to-dock autorouting algorithms. 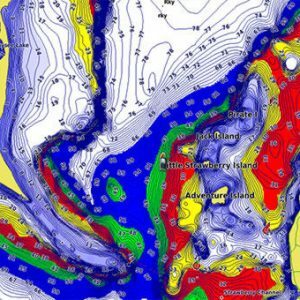 I am told that g3 fishing charts are a combination of Navionics’s SonarChart and NOAA bathy data while Garmin is still using QuickDraw Contours for their live depth surveying and sharing. How that all works and looks in real underway conditions, I don’t know, though the screens above suggest that lots of bottom detail is included. And, yes, there will also be optional BlueChart g3 Vision cards available with satellite imagery, aerial detail photos and unique 3-D views like FishEye. For years I’ve hoped to see the inReach satellite messenger and tracker integrate with marine displays, and that seemed even more possible when Garmin acquired the company. Now it’s here as the inReach Mini Marine Bundle and while the remarkably tiny Mini seems especially suited to personal use like hiking, I think that the 12v power mount and ANT+ connectivity to new and existing Garmin MFDs — 8600/74/7600 series, 7X2, 9X2, 12X2, 10X2 and 12X2 Touch — is going to be a big deal for many boaters. This is the only inReach/MFD interface screen I’ve seen so far, but imagine how useful it would be to have reliable two-way text messaging beyond cellular range on the bright main screen you use underway. 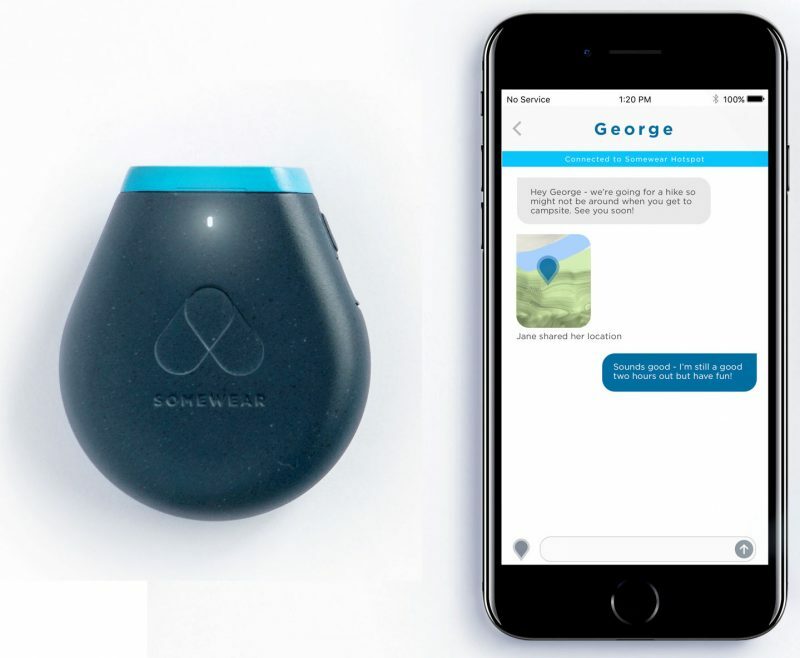 And besides for the excellent tracking already built into the inReach ecosystem, couldn’t Garmin use this link to fill in more tracking/logging data like wind and temperature conditions? 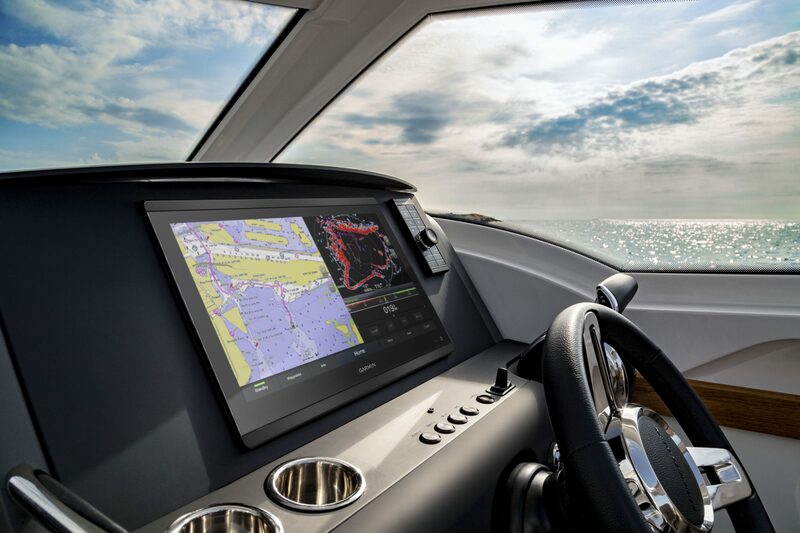 Multitouch navigation screens work better than many anticipated a few years ago, but I don’t think any electronics brand offers all the remote control choices that their customers may want for different types of boats and boating. 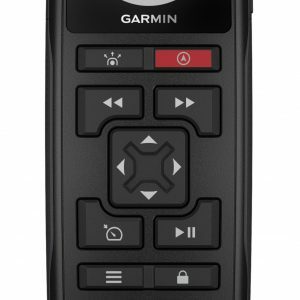 And despite the big original GRID (Garmin Remote Input Device) and the diminutive Wireless Remote — both quite functional in my experience — Garmin didn’t offer the compact midsize remote that Raymarine, Simrad, B&G, and Furuno have all developed nicely. Well, the new GRID 20 seems to show how the last brand in can borrow the good ideas and add some new ones. 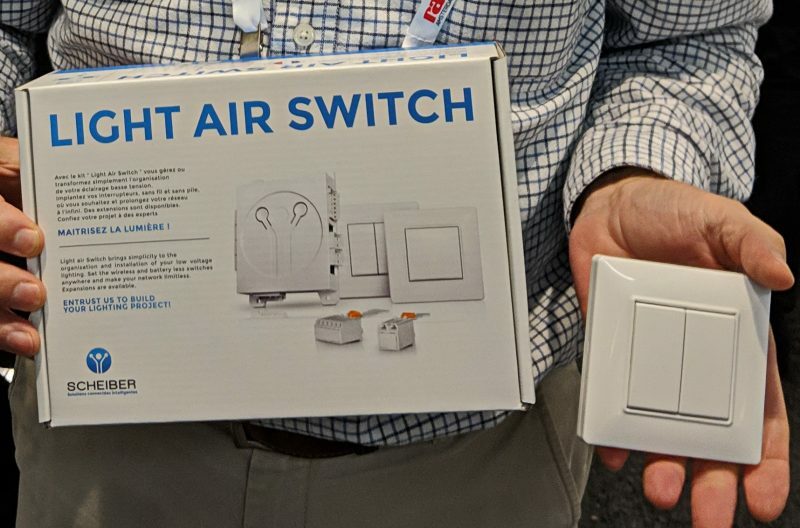 In a simlar vein, the new $250 wireless AP remote has the gesture control for heading hold and course corrections that Furuno first introduced with their Nav-Pilot 300, but also a color screen. 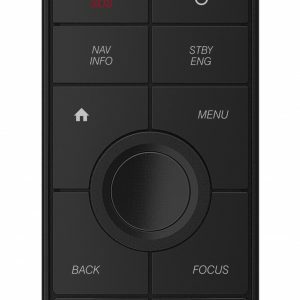 The water-resistant floating case will be appreciated if the remote ever goes overboard. Finally, there’s a new $500 GC 200 Marine IP camera with especially flexible mounting options because its image stream can be rotated 90, 180, or 270 degrees, and also reversed for a rear mirror style view. 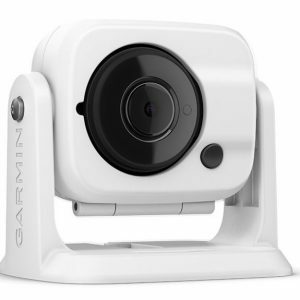 I’ll add that Garmin introduced the GC 100 WiFi camera last summer, and has long offered excellent MFD integration with their VIRB WiFi action cameras (which now includes a 12v power cable for the Ultra 30). So what do you think, and what have I missed so far, pro or con? And what the heck could that new Audio port be about? 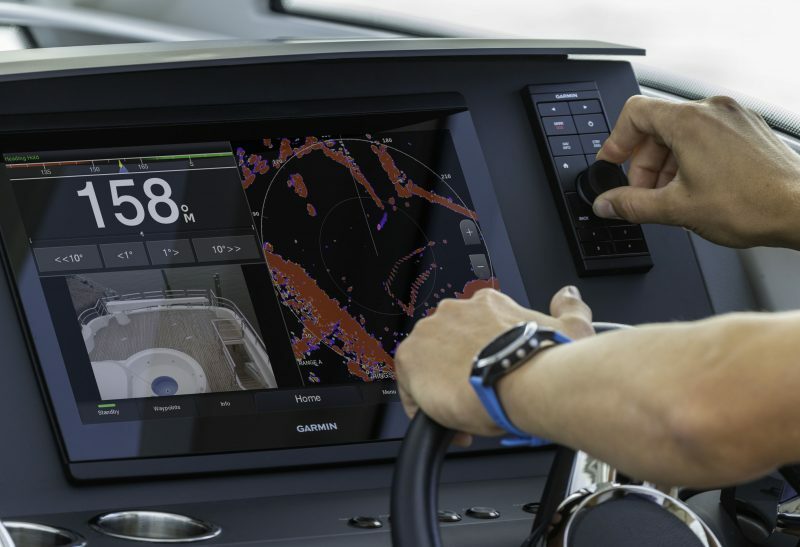 Additionally, Garmin says that the audio port may get used with streaming apps running on the new 8600 displays (like Raymarine Axioms can do with Spotify). That app feature doesn’t exist yet, but when it does, I imagine it will be able to turn down the music when the MFD wants to give you an audio alert, like good phones and automobile stereos can do these days. I was expecting a bit more from G3 charts than just merging some Navionics depth data into a G2 chart. 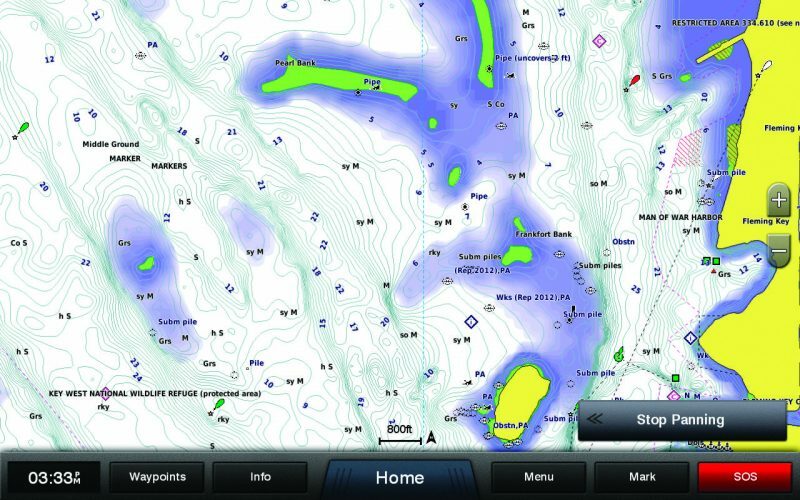 Navionics is all about sharing your data. But being able to upload sonar tracks to the Navionics community via a Garmin MFD and getting back an updated chart within reasonable time still seems to be far out of reach. Anyway I heard rumors that Garmin is working on merging Active Captain database and Navionics community edits. This would be a big step forward as AC POIs can already be downloaded easily to newer Garmin MFDs . But they also should add functions to easily create, edit and share AC POIs using the MFD. 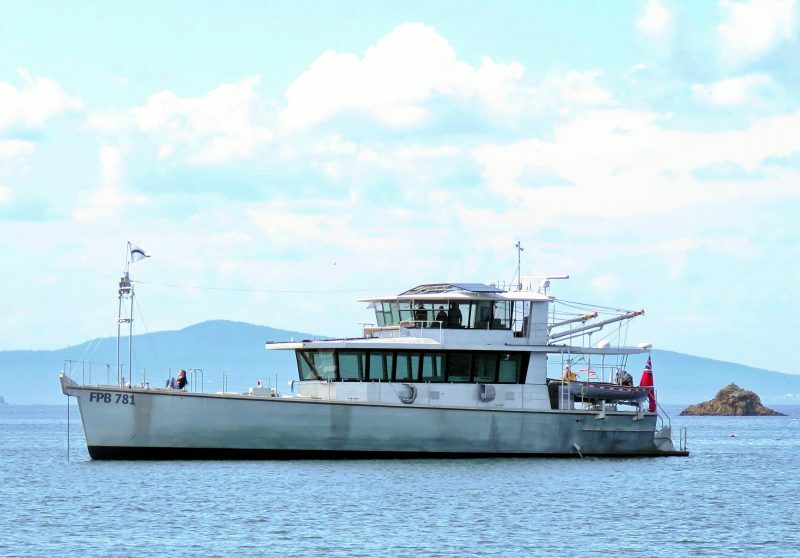 But I think that merging AC and Navionics Community Edits will be quite a challenge, as they are so different. Personally I do not consider autorouting usable until it follows “recommended route” lines and until it passes channel markers on the correct side. And yes, I also think that what we see now will be just the beginning of integrating everything Garmin bought recently. It took more than a year after they acquired ActiveCaptain to bring it to their MFDs. 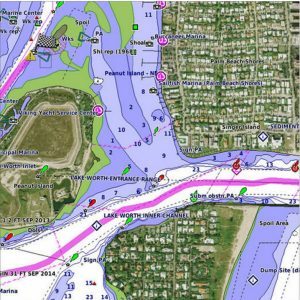 So they are relatively fast with Navionics now. But I hope they keep going and don´t get stuck as they obviously did with QuickDraw. I was pretty excited when QuickDraw was introduced in 2016. But there was not much progress since then. Still no tide correction. Still no good coexistence with G2 charts (just overwriting everything, even shorelines). 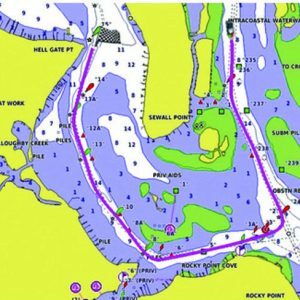 John, Navionics Dock-to-dock does honor nav aids, at least most of the time (and no auto route should be followed without checking it out first anyway). It also seems to know about commonly used routes, and that makes sense because many Navionics app users are sharing their tracks with the company (unless they turn the default setting off). 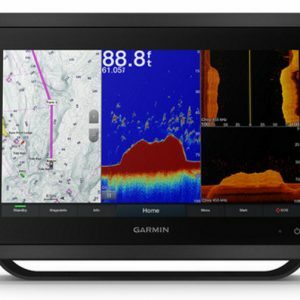 Garmin says that all currently shipping MFDs will be able to read the g3 charts. I’m awaiting confirmation on the 8200 series but everything current is good to go in December when the new charts start shipping. It would be interesting if a firmware update is needed to run G3. Otherwise G3 would be technically G2 with some additional data. Speaking of Active Captain, I was looking forward to accessing AC through AquaMap while cruising in Mexico this coming winter. But it turns out that AquaMap has no charting for Mexico. Does anyone know of an iPad navigation app that covers Mexico and supports AC? Come to think of it, the Navionics Boating app was supposed to get ActiveCaptain support by the end of this year, and it can display charts of Mexico I’m pretty sure. Hopefully, Ben Stein can ask about this today in Lauderdale. Yes, Ben, I remember your mentioning that some time back, and making a mental note about it. Yes, I do hope Ben S. Can get an update on that from Navionics as it would be the perfect solution for me (I still have an old copy of Garmin Bluechart Mobile on my iPad, and can use that in a pinch, I suppose). 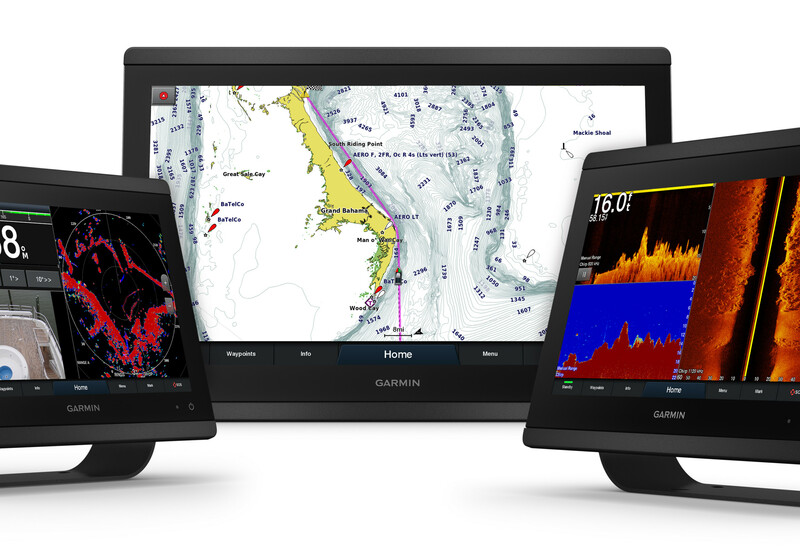 Garmin confirms that Navionics is on track for ActiveCaptain Community data by the end of 2018. Additionally, they said g3 charts should work on MFDs dating back to 2013. They further clarified to say that if the MFD can read g2 it should be able to read g3 and there’s not a firmware update required. Cool: Christopher and Michael both did great detective work regarding the new Audio port (though their comments got lost in our system for a bit). Sorry, gentlemen, and THANKS! But what does that mean? An 86xx user will use an auxiliary input on their stereo to better hear the key beeps, alarms, etc generated by the MFD? Or maybe the 86xx eventually becomes the intermediary source of streaming audio using the cable and the MFD’s Bluetooth or WiFi connection to your phone? I really have no idea, but Fusion Apollo does support WiFi audio streaming and maybe there is a future scenario where you’d want your phone constantly connected over WiFi to the MFD but still able to stream audio?? Ben, 84xx is the international version of 86xx without built in US charts. 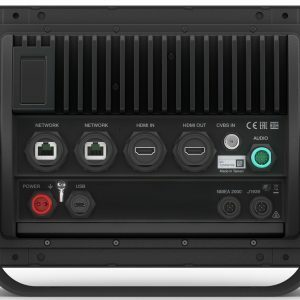 The audio port may be an output, for running a third party app like Raymarine. Such as Netflix or Pandora. That way you could run audio to your stereo. You can use this new audio cable with the green connector on the back of the plotter to connect into a stereo (Fusion or other) so that instead of the plotter just beeping at the user and giving a visual prompt, it’ll say something like “engine alert” or “marpa target detected” etc. over the stereo instead. These audio alerts are also translated per the language set up on the plotter. Media streaming is also a possibility, and I’ve put all this in a new PS to the entry. Mystery solved and thanks to all! 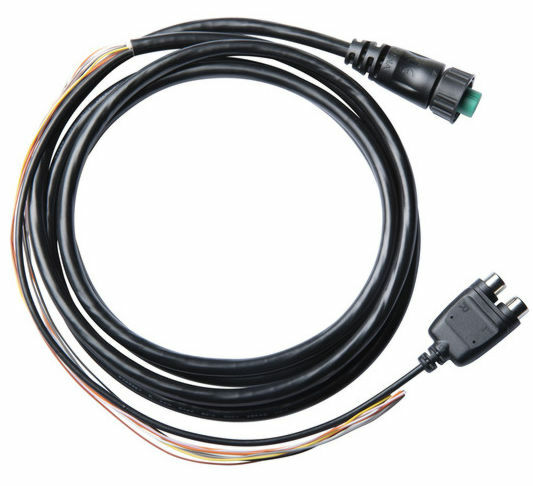 Installation instructions for 8640 and the NMEA183 cable description are already availablee. 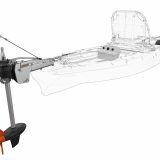 Installation instructions for up to 8600 and the NMEA183 cable description are already available. Is there any information about backwards compatibility for older InReach devices with the new MFD interface? I am wondering if I will be able to pair my older InReach SE with my Garmin 8617 MFDs. Can’t find any references except for the Mini. I fear that’s not possible, Quitsa, as Garmin is using ANT+ wireless for the MFD integration, and only the inReach Mini has ANT+ (so far). On the other hand, the Mini will purportedly work with lots of Garmin MFDs — 8600/74/7600 series, 7X2, 9X2, 12X2, 10X2 and 12X2 Touch. Thanks Ben. At least Garmin is displaying some recognition that the inReach ranks high on the list of world’s worst data entry interfaces. I use the app on my iPhone to send messages. I wonder if I can take advantage of the notifications function on the 8617 by pairing with the phone and perhaps seeing message notifications from the inReach that way. 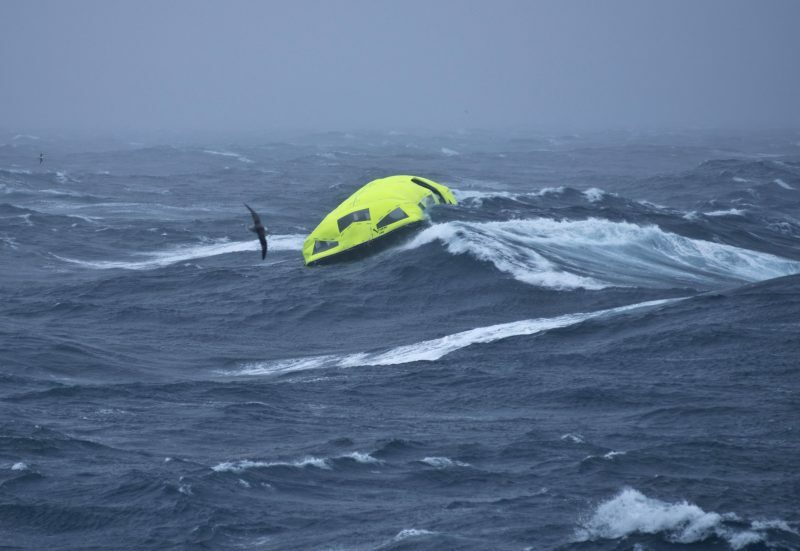 With the two big Diesels and wind and water noise at 30kts and wearing earplugs, the little beeps from the inReach don’t penetrate my consciousness. I had turned off the notifications because the popups on the MFDs were annoying when my phone was in cell range and receiving emails and texts. I think that you need to be able to run v.14.10 firmware or later, which means a 7600 04 8600 series MFD — but really you should call Garmin tech support. One thing to note is that the inReach mini interface on the MFD is rather limited. I checked it out at a boat show a couple of weeks ago. 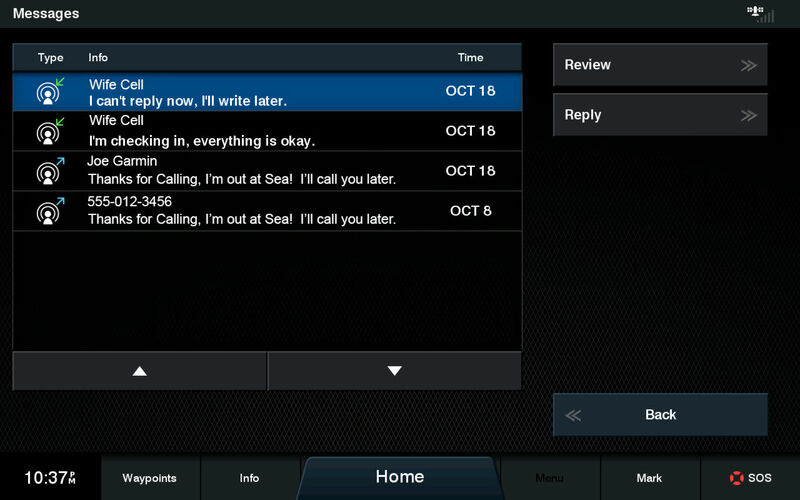 The MFD will pop up a notification for messages received and allow sending one of the preset messages in response. It does not allow you to compose a custom message. That has to be done on the inReach itself or via the iPhone app (which is how I have been using my inReach since it is so much easier to type a message that way). 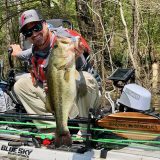 The Garmin rep at the show said that he expected that later releases of the MFD interface would eventually add the ability to type messages on screen but he did not know when that would become available. Nothing to be sorry about, Christopher. Your link to Garmin inReach Mini/Compatible Devices is exactly what Ray is looking for, though unfortunately the 8212 is not on the list. Sorry, Ray, but Garmin did not start putting ANT+ wireless into MFDs until well after the 8212 was introduced. To be specific you’ll see that the compatible MFDs are the “8600/74/7600 series, 7X2, 9X2, 12X2, 10X2 and 12X2 Touch” cited in the entry. And, thanks for the report, Quitsa. I too am disappointed that they do not yet allow a compatible MFD owner to type in custom inReach messages on what is often a big, bright touchscreen keyboard. But it certainly seems possible, could be really useful in some situations, and here’s hoping it comes in an update. 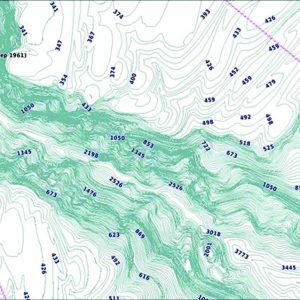 Has anyone seen the new Garmin raster charts that are described in the g3 press release as “downloadable from Active Captain.” This is supposed to be a new feature of the g3 charts. I saw them on an 8600 on the floor of MIBS. They looked great on the MFD. Garmin explained they’re a free download with the Active Captain app. Thanks for the quick reply. That’s good to hear because the only thing I dislike about my Garmin 8617s compared to the Furuno MFDs I had before is being trapped in the Garmin proprietary cartography. Showing my age, I am just happier looking at raster charts. I wonder if it requires g3 charts or will work with g2? Sounds similar to how the Quickdraw detailed contours are handled, in which case it should work with g2. Guess I’ll find out once they make it available. I will probably spring for g3 in any event to get the contours and other improvements.